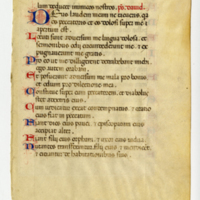 Denison University Archives & Special Collections holds 72 medieval manuscript leaves that date between **** and ****. Medieval is defined by the time period of ****-****. 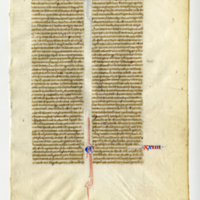 Manuscript is defined by the object being handwritten rather than printed. 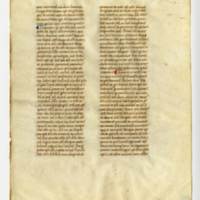 A leaf is defined as being a single page out of a book, also sometimes called a folio.